Even though we all know exercise is good for us, we may not always diligently stick to a regular exercise schedule. 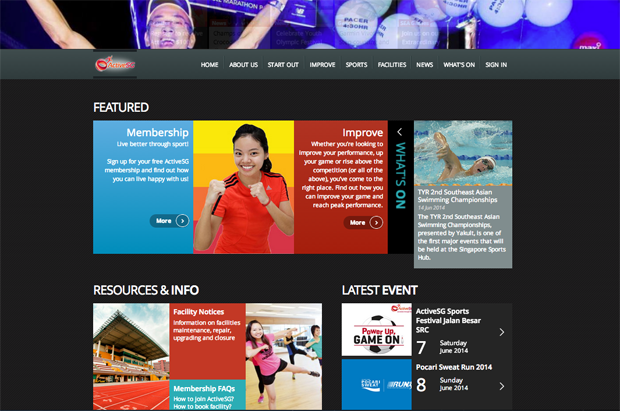 To get people into the momentum, Sport Singapore rolled out ActiveSG, a new sports movement that enables people to book facilities, purchase entry passes and register for sports programmes online. Adding to the convenience, users can download the mobile app to do the above while on the move. Imagine purchasing a gym ticket while on the train because of a spur-of-the-moment decision to work out. Upon sign-up, you’ll automatically receive $100 in ActiveSG credit. This incentive seems to be very effective. We hear that more than 180,000 signed up in just two weeks since its launch. Response is so good that ActiveSG is even rolling out a corporate membership scheme by the end of this year. It’s good to see ActiveSG well-received. The 100 ActiveSG dollars goes a long way in spurring us to stay physically active. Most of the time we just need a push in the right direction, and this just might be the right motivation for us kiasu Singaporeans. Hoiio is happy to provide our SMS API service to iAPPS, developer of the ActiveSG platform, to facilitate smooth registration and password reset for ActiveSG members. The free credits are valid for a limited period of time only. Do make sure you use these free credits by the 31st December of the year following the year of sign-up.